The cells in your body are completely loyal to you; they work for you in harmony. We can even say they pray to you. You are their God. That is absolutely the truth. Now what are you going to do with this knowledge? In this month’s BioNews we conclude the BAC Academy series held in January. The purpose of the Academy was to take you to the next level of knowledge about BAC. The transcript of BAC Academy Part I held on January 18th, 2012, is available at BAC Academy Part I. The transcript of BAC Academy Part II held on January 25th, 2012, is available at BAC Academy Part II. Welcome to the BAC Academy part IIb – Usages and Guidelines. Rather than provide the transcript of the recorded session here, I have decided to provide the revised copy of “Usages and Guidelines” version 8.0. This information will be more complete than the instructions given during the BAC Academy. 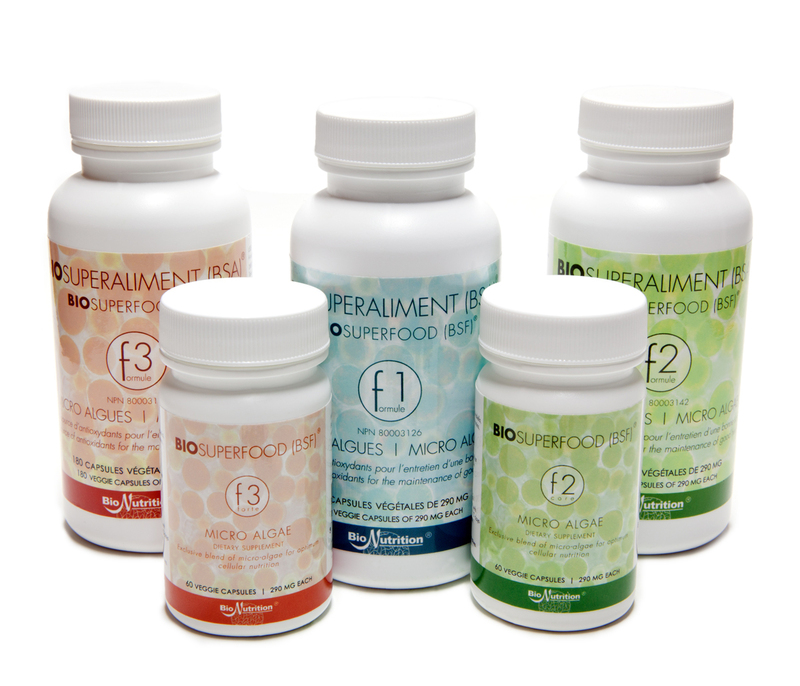 Welcome to the BioSuperfood (BSF) family and congratulations on your purchase or interest! Thank you for letting us share with you the benefits of this daily whole micro-food. We are passionate about living healthy fulfilling lives and about sharing this passion with our loved ones, friends, and everybody that cares about their wellbeing. We firmly believe in the genius design of our bodies, of our brain, and of every single cell that our body is composed of. We believe that if our cells are properly nourished, our body will function at its maximum potential. BSF is a whole food product formulated with four of the most nutrient and phytonutrient dense algae found on earth. It is a scientific formulation of effective nutritional and immune support foods. BSF is a holistic solution that provides optimum cellular food for optimum cellular nutrition. Proven to even cross the protective blood brain barrier and blood retinal barrier, the micro-nutrients found in these synergistic blends efficiently reach and nourish every single cell of the body. BSF was developed after 13 years of intensive Soviet research on algae, led by holistic nutritional pioneer, Prof. Dr. Michael Kiriac, PhD, ND. These blends have been tested, proven, and used in agricultural and human applications for over 30 years. BSF’s practical applications range from nutritional support for hundreds of children and adults of the Chernobyl nuclear disaster, to helping thousands of people around the world in their struggle with common or unique health conditions. BSF is 100% food with extraordinary nutritive values. Its bio-availability and efficient delivery provide optimum cellular nutrition, and as a nutraceutical food, the body can utilize its raw material in support of safe and natural self-healing with any health condition and goal. There are no known toxicities or contra-indications in the medical or alternative scientific documentations. BioSuperfood is Health Canada approved as ‘A source of antioxidants for the maintenance of good health’. The statements in this text have not been evaluated by the Food and Drug Administration. Nutritional supplements are not intended to diagnose or treat any disease. Consult your health professional if you are uncertain or have severe health issues. 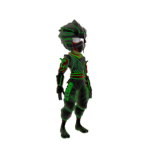 Spirulina is a blue green micro-alga, invisible to the naked eye, grown in warm and brackish water. It is approximately 60-70% complete highly digestible protein. Its protein elements contain 18 out of 22 amino acids, including all the 8 essential amino acids. Spirulina is a rich source of vitamins such as A, B, E, H, thousands of enzymes and several essential and non-essential fatty acids. Spirulina is rich in B vitamins, minerals, trace elements, chlorophyll, and enzymes. It is also one of the best food sources of GLA, an essential fatty acid necessary for tissue growth and regeneration. Due to its soft cell wall, all of Spirulina’s nutrients are easily assimilated. Dunaliella Salina is a single celled, salt-water micro-alga that under appropriate growth conditions accumulates massive amounts of beta-carotene. Dunaliella contains other carotenoids such as alpha carotene and xanthophylls like zeaxanthin, cryptoxanthin and lutein. It also accumulates very high concentrations of glycerol. High concentrations of beta-carotene and glycerol offer Dunaliella protection from the saline conditions and osmotic pressure of the environment where it lives. Natural mixed carotenoids found in Dunaliella Salina are among nature’s best antioxidants. Haematoccocus Pluvialis is believed to be by far the world’s richest known source of astaxanthin, a unique natural carotenoid pigment and an extremely powerful biological antioxidant. A growing body of scientific literature shows that natural astaxanthin surpasses many of the antioxidant benefits of vitamin C and vitamin E. Astaxanthin holds superior antioxidant activity and has an ability to support and maintain natural inflammatory response. Additionally, scientific research has proven that astaxanthin is able to cross the blood brain barrier and the central nervous system better than many other antioxidants. Proteins – High-quality complete protein (between 45% to 55% protein) with 98% net assimilation, including all the essential amino acids. Vitamins – Contains all known vitamins – A, B complex, C, D, E and K. Includes vitamin B12, which is rarely found in plants, and is very beneficial for vegans and vegetarians. Minerals and trace elements – Over 92 minerals and trace minerals with natural chelating co-factors; calcium, phosphorous, magnesium, sodium, chloride, potassium, sulfur, iron, iodine, copper, manganese, zinc, cobalt, molybdenum, selenium, chromium, tin, vanadium, fluorine, silicon, nickel, and many more. Essential Fatty Acids (EFAs) – The essential fatty acids Omega-3, Omega-6, including rare Gamma-linolenic acid (GLA), and non-essential Omega-9, and many more fatty acids. EFAs are the “good fats” essential to human health and critical for healthy brain function. Enzymes – Thousands of enzymes critical for good health. Enzymes facilitate breakdown of food and increase the reproduction of lactobacilli, the bacteria that digests our food. Mixed carotenoids – Carotenoids play an important role in human health by acting as powerful antioxidants, protecting the cells of the body from the damaging effects of free radicals. BSF contains these powerful mixed carotenoids: alpha carotene, beta-carotene, astaxanthin, lycopene, lutein, phycocyanin, xanthophyll, quercetin and many more. Astaxanthin is clinically proven to be the highest naturally occurring antioxidant power on earth; its protection ability may be hundreds of times that of vitamin E and C, and 20 times that of beta-carotene. Its alpha-carotene, when transformed into pro-vitamin A, is clinically proven to span across cell membranes and penetrate the protective blood-brain and blood iris barriers. Nucleic acids – DNA & RNA, the building blocks of living organisms, needed for effective tissue growth and repair, as well as healthy cell function. Chlorophyll with extraordinary calcium spirulan – Chlorophyll is to plants what blood is to humans. It is essential to metabolic functions such as growth and respiration. Chlorophyll, being comprised of magnesium, also plays an important role in calcium digestion and absorption. Polysaccharides – One of the richest sources of mixed polysaccharides or glyconutrients. Phytonutrients – BSF contains an unparalleled mix of nature’s ‘special forces’: chlorophyll with magnesium and calcium spirulan, carotenoids and phycobilins and hundreds of yet undiscovered phytonutrients. BSF is for people who wish to regain, protect, and maintain their overall health and immune system. It is a holistic nutritional solution to help your body use its own self-healing power. Everybody can benefit from the rich nutrient content of BSF. General Nutrition – BSF significantly increases the efficient digestion of food and absorption of nutrients, which results in fewer cravings and less food consumed. BSF supports intestinal health. Therapeutic – Wake up your body’s natural ability to heal with the superior nutrition found in these whole food algae blends. Health maintenance & protection – BSF helps promote optimal health by boosting the immune system and increasing protection from free radicals. Sports & Fitness – Ideal for the active, athletic individual who wishes to maintain peak performance whether it is bodybuilding, biking, swimming, or any other fitness activity that stresses your body, without using dangerous synthetic products. Vegans & Vegetarians – BSF contains a complete protein makeup and the rare plant vitamin B12, all in veggie capsules. BSF Base F1 – Base support – estimated to be significantly more nutritionally functional than plain spirulina or chlorella – formulated for daily health support. Take 3 to 12 capsules daily. BSF Core F2 – General nutritional support – contains more nutraceutical value than Formula F1, and richer in antioxidant carotenoids. A revitalizing concentrate of nature’s best nutrients and phytonutrients. Formulated for health rejuvenation and maintenance. Take 3 to 12 capsules daily. BSF Forte F3 – Advanced nutritional support – more nutraceutical value than Formula F2 – our most potent formula. Awaken the genius within with nature’s most powerful carotenoid antioxidants. Formulated for an advanced approach to health. Take 3 to 12 capsules daily. The suggested usages in this document were initiated by Dr. Michael Kiriac PhD, ND, lead scientist and inventor of BSF. They are based on his vast personal experience gained over the last 30 years of using BSF with animals and human and on the now large body of cumulative experience of hundreds of North American and European practitioners that have been using BSF over the last 13 years. The use of BSF as a nutraceutical remains a non-medical approach. Improving health with BSF can be considered medicinal in the holistic perspective as in “wisdom medicine” or “holistic medicine” in that it addresses the root cause of degenerative conditions which is usually related to diet and lifestyle. If one wants to use BSF as per Hippocrates’ advice, “Let thy food be thy medicine,” then one must let go of the palliative mindset (a specific remedy for a specific symptom) in favor of the holistic approach (remedy aimed at the whole of health and the root cause of the symptom). Transitioning from our palliative training to the holistic one involves faith, trust, wisdom and experience. Faith and trust are innate while wisdom and experience are acquired. The holistic approach in the context of BSF means that you are nourishing the body with a certain quantity of BSF in order to derive whole body benefits which include energy, growth, repair, cleansing, protection and healing. In using BSF as a natural holistic approach, no one food or quantity of a food will fit all; flexibility and respect of individual biochemistry will be part of the success. The specific BSF formulas and quantities suggested in these guidelines should be adapted to each client’s individual biochemistry and as well to each practitioner’s approach to holistic health which may include other modalities. Select formula(s) and usages based on the “BSF Formulas” description above and the following criteria. The first thing to consider when using BSF is that “you have to eat some to derive its benefits”. BSF delivers nutritional results and benefits based more or less on the quantity consumed. In general, one can consume anywhere from three to twelve capsules daily. The suggested average lies at 6 capsules per day. With food “no one food or quantity of a food fits all”, and as per any other diet or nutritional program, flexibility and respect of individual biochemistry is recommended. Respect of individual biochemistry, sensitivity, budgets, etc. Adult maintenance – To maintain optimum health, in support of general nutrition, diet, energy and replacement of most supplements, Take 3-8 capsules daily. F2 or F3 is recommended. Children maintenance – To maintain optimum health*, in support of general nutrition, diet, energy and replacement of most supplements, Take 1-3 capsules daily. F1 or F2 is recommended. Therapeutic – Take 6-12 capsules daily. F2 or F3 is recommended. F3, our most potent formulation, is more suitable for chronic and acute conditions. Sports and fitness – To increase stamina, energy and strength, for recovery from exercises, and prevention of injuries, the recommended use is from 9 to 16 capsules per day. Before, during and after workouts, take additional capsules as needed. F2 or F3 is recommended. Experimental observations over several years have shown that a small quantity taken frequently is more efficient than a larger quantity taken less frequently. As a rule, it is best to take no more than one to two capsules per intake frequently throughout the day, rather than few intakes of a larger quantity (2 capsules before each meal is better than 6 capsules at breakfast). This delivers two benefits: supplementation of nutrients and reprogramming. With aging and degenerative conditions, the organs and particularly their overseer, the “hypothalamus”, develop tolerances of negative condition(s) (i.e. invalid pH values, etc. ), a sort of negative feed-back (a loss of homeostasis) where the conditions become misprogrammed as the “normal” state of health. When taking BSF, each time the hypothalamus receives nutrients from BSF, it becomes nutritionally invigorated to perform its myriad of metabolic functions. The frequency of intake influences the “re-programming” of the hypothalamus towards regaining homeostasis. Because of the rapid nutraceutical benefits of BSF, to allow physiological changes to take place progressively and be well received within the body, it is suggested to select the appropriate adaptation mode based on health condition and/or desired goal from the modes below. Gradual – Start the program gradually in case of high blood pressure, pregnancy, cardiovascular issues, fragile intestines, brain injury, hyper-thyroid condition, candida, or other fragile or severe health condition. Start with 1 capsule a day. Add 1 capsule every 7-10 day period until the desired quantity is reached. Take 1 capsule at a time. Standard – Start with taking 1 capsule twice per day for the first five days, then adjust your usage adding one capsule each day until you reach the suggested total number of capsules per day. It is best to take one capsule at a time. 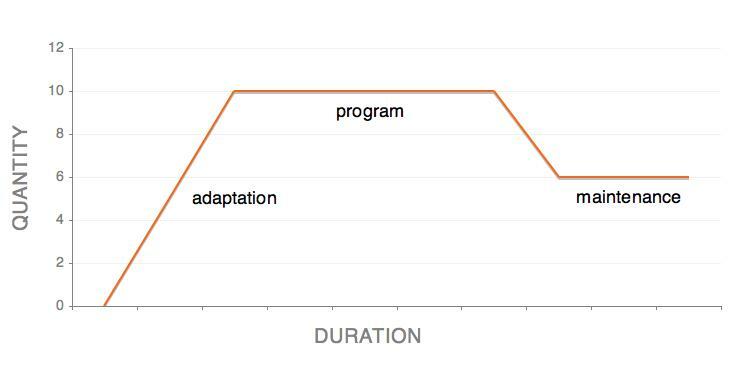 Adaptation – The Adaptation phase is a critical phase as some people are more sensitive than others. It is prudent to start using BSF slowly following the recommendations in the Adaptation Modes above. This Adaptation phase may last between one and six weeks depending on the adaptation mode selected. Program – The Program phase is reached in days or weeks and should be maintained 3-6 months, and in cases of degenerative conditions, it may be maintained for 6-24 months as some degenerative conditions have been present for decades. During the Program phase, there may be temporary adjustment to the quantity taken to address a viral attack or an intense period of stress, etc. Return to the Program quantity after the crisis is over. Maintenance – A return to a Maintenance level should be expected after months and even year(s) after starting the use BSF. BSF is recommended for life as a strategy for nutritive and protective support for health. The dose for the Maintenance phase is individual to your age, state of health, exercise level, lifestyle and budget. Drink your water in between meals, or no later than 5-10 minutes before your meals, never during or right after. Water dilutes the gastric juices in your stomach and slows down digestion time. Optimum results are obtained when fewer capsules are taken per intake more frequently throughout the day: arrive at a compromise between taking capsules from hourly down to three times per day. BSF can be taken with or without food. Elect to eat whole organic fresh food. Eat some raw food with each meal: fruits and at least one salad daily. Regular daily intake of BSF is a crucial success factor. Avoid eating after 6 pm as often as possible. For more energy take a few more capsules as needed. When taking BSF it is easy, achievable and suggested to reduce or stop the intake of other supplements. If you are uncertain consult a health professional. Exercise 5 to 7 times per week – 30 minutes of walking daily is a great form of exercise. It is not necessary to refrigerate BSF, but you may if you wish. Do not expose BSF to freezing temperatures. Do not expose BSF to direct sunlight for long periods since such exposure may affect the product. When consuming BAC, results can be different for each person, and this is completely normal. Adjust accordingly. People who take the course of natural healing through dietary and other lifestyle changes like exercise may experience what is called a “HERXHEIMER RESPONSE”, a detoxification reaction or healing crisis. These experiences can be regrouped as follows: energizing, detoxifying, fortifying, immunizing, protective, restorative and regenerative. Within these groups, the symptoms of change are numerous and unique to each user. A non-exhaustive list is as follows: changes in energy, blood sugar, blood count, assimilation and absorption, better elimination with regards to urine, stools and bowel movements, improvements in physical strength and stamina, increased lactic acid threshold, endurance and oxygen conversion, reduction or elimination of tremors and seizures, reduction of tumors, less pain, quicker recovery from injury, injury prevention, normalized pH levels, polarity and frequency, improved alertness, mood, focus, clarity, emotions, intellect, appetite, skin, nails and hair, better sports performance, muscle gain and maintenance, weight loss or gain, changes in hormone levels, prostate function, near sightedness and night vision, reduction of pressure on and degeneration of the eyes, normalization of inflammation, breakdown of calcification and plaque, normalization of cholesterols and free radicals, anti-bacterial, anti-tumorigenic and anti-fungal effects, restoration of intestinal linings, improved cardiovascular strength, increased libido, fertility, and more. The results can be perceived positively and negatively. As per the discussion in “Healing Crisis” below, when the results seem to be negative they can usually be managed by reducing the quantity of capsules until the situation remedies itself, usually within a few days. Note that drinking the recommended amount of water will often alleviate any negative symptoms. In order to achieve good health the natural way, a healing crisis may occur. A healing crisis is the result of the whole body acting in unison to eliminate the toxins that have accumulated in the body over the years. These toxins may have come from previous toxic substances and medicine taken to “end” a cold or flu or to stop an infection, rash, etc. Today, health practitioners agree that using a drug to stop an illness only “masks” the symptoms, pushing the problem inside the body, only to manifest itself years later as cancer or other health problems. The symptoms of a healing crisis can often appear identical to those of the disease that the body is eliminating. A cleansing reaction may indicate that the body is readily absorbing and responding to the vital nutrients found in BAC. This healing crisis usually comes in the form of changes in the skin, high and/or low energy, headaches, pains, constipation or its opposite, colds and flus. Some people take this as a sign that the products they are taking or the life style change they are now following is causing them harm, and they quit this new path they have chosen. Other people understand that when you follow a natural healing path and then come down with a flu or a cold, it may actually be an important part of the healing crisis: the elimination of toxins from the body. The average person who starts a natural healing path usually develops a healing crisis within three months, and rarely some crises can be more severe than others. These crises usually manifest themselves in the reverse order in which they initially affected the person. People often feel the best they have felt in a long time just before the healing crisis occurs and right after. The human body is governed by the laws of nature. What we feed ourselves determines our well-being. We are what we eat. The choice is ours. If we eat good healthy foods, we will live good healthy lives, physically, emotionally and spiritually. The crisis will usually only be as severe as the body can handle. During the height of the crisis, a person should minimize the intake of food, if not completely ceasing the intake of food. It is possible to go on a short fast to alleviate a healing crisis and speed recovery. A crisis usually lasts for one to three days for a person with average health; it may last longer for people with low energy levels. Water and fresh-squeezed vegetable juices are the best things to consume during a healing crisis. People should not stop the intake of water, as water helps carry in nutrients and carry out toxins. It generally takes at least 90 days for any permanent change in the body to take effect. This includes changing personal habits, quitting smoking, dieting, exercising, taking natural supplements and other changes. Some people notice dramatic changes within the first week of taking BAC, while others notice gradual changes over several months. Healthy people may notice positive changes such as more energy, better concentration capabilities, and improved digestion. Changes can subtle such as a general feeling of wellness, or not catching the usual seasonal cold. Athletes report improved performance and faster recovery. Some people notice that they are in need of less medication. Keep a health diary for 90 days and see for yourself if you can boast any improvements.